I took advantage of the unusual nice weather for a winter day and went to the countryside to have a seafood cuisine lunch with my family today. 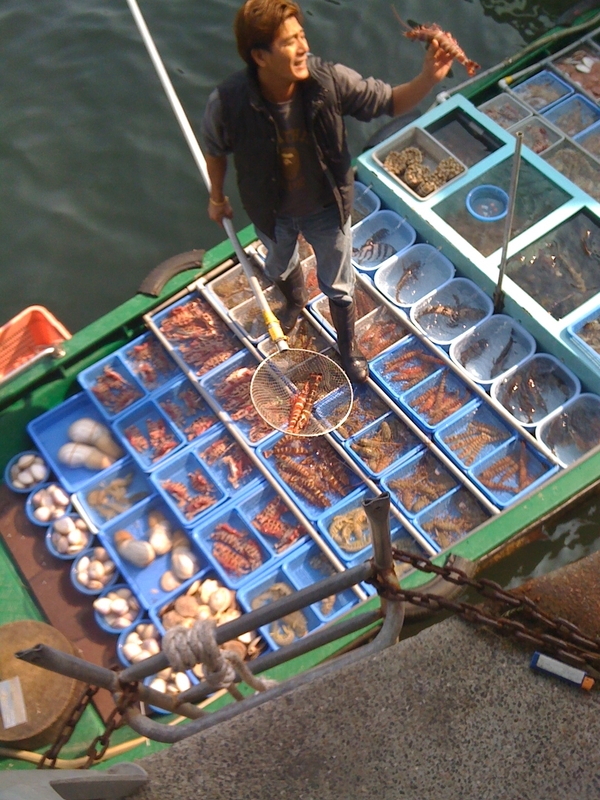 We went to Sai Kung, which is formerly a fishing village. 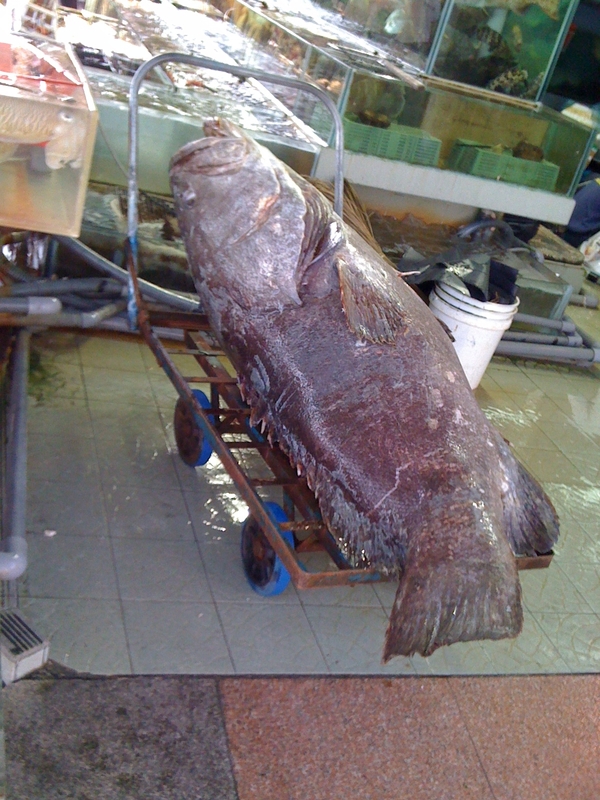 Local fishermen return with the catch of the day and sell straight from the boat. 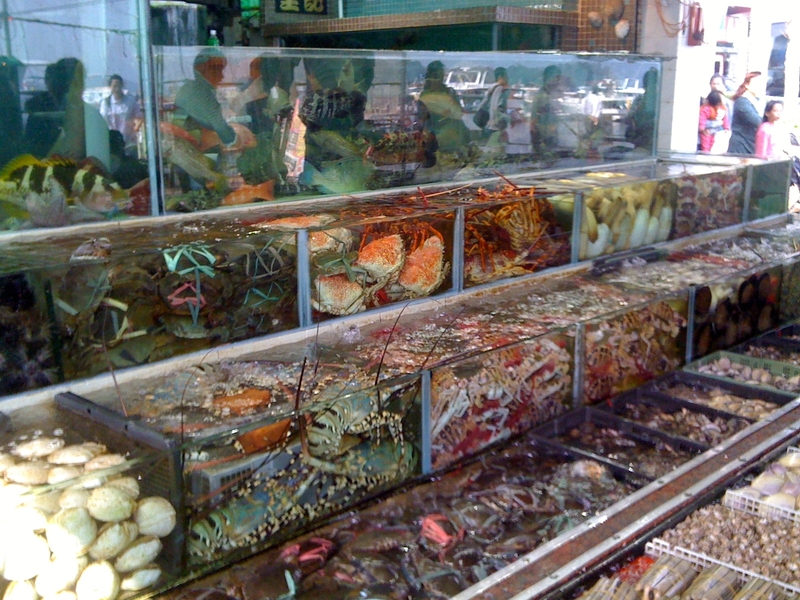 Many local restaurants have enormous tanks full of exotic seafood. We went to the tank, selected our items and they were cooked for us in the style we chose. It could not be any fresher. Lucky you! :)) Never been in Sai Kung before. Hi, alone tell you is for me very impact see the big fish and see all the seafood.